The teachings will also be available in English. We kindly ask you to bring a radio and earphones with you, in order to be able to listen to the English translation. The teachings begin in the evening of the first day ( 20:30) and conclude at noon, on the last day (12:30/13:00). The schedule of the sessions is subject to variations, with the exception of the first and last session of every monthly encounter. For those who choose accomodation at the Institute or the Borgo, the course is upon free offer. For those who only attend the course, a 30€ minimum offer is recommended. The audio recordings of the teachings will be available on the e-learning platform of the ILTK study programs. This material will be accessible by means of a password, once each module will be completed in the Institute. for those who attend the teachings and stay in the Institute, the access will be offered. When doing the check-in at the reception, you will be given a document containing the password and the instructions for the access. The password will be automatically activated on the Wednesday following the completion of the teachings module in the Institute. those who attend the teachings in the Institute can request the access to the recordings at the reception, paying 30€. You will be given a document containing the password and the instructions for the access. The password will be automatically activated on the Wednesday following the completion of the teachings module in the Institute. those who cannot attend the course in the Institute can request the access to the recordings of a single teachings module, filling in the form. Advantages for the supporting and benefactor members: it is reminded that the supporting and benefactor members can listen to the teachings in direct streaming. Geshe Jampa Gelek was born in 1966 in Tibet. He received the Geshe Lharampa degree from Sera Je Monastic University in South India, graduating first in his class in 1999. 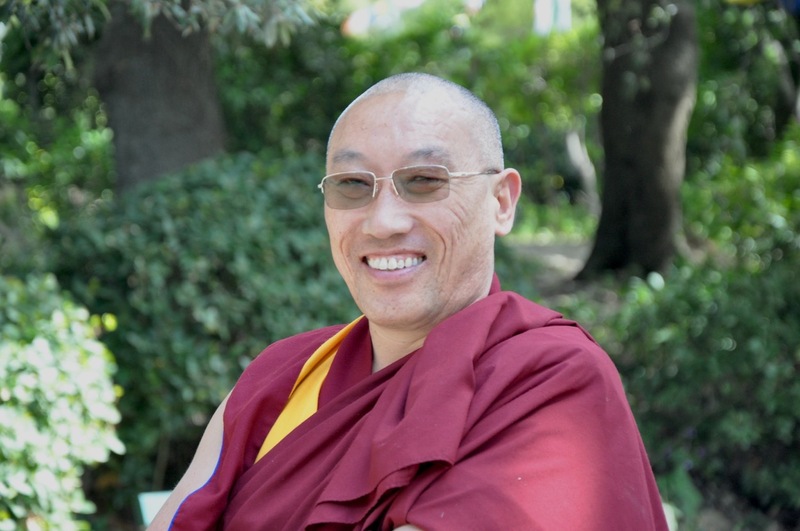 Focusing on tantric studies, Geshe Jampa Gelek is also qualified to give initiations and commentaries. 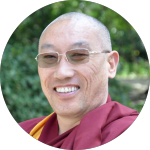 He currently teaches in the Masters Program at the Lama Tzong Khapa Institute.